The Research Archive for Ancient Sculpture, 2010-2016 part of the CoDArchLab, has been an independent department of the Archaeological Institute of the University of Cologne since the appointment of the chair for Archaeoinformatics. In various exhibitions and publications it has published a summary of its previous works. 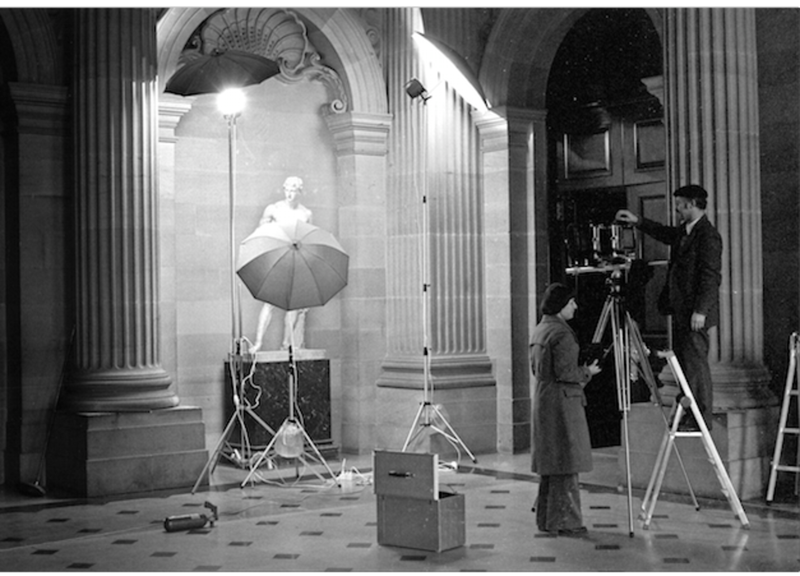 Since its establishment in 1964 it has been involved in basic research by recording sculpture in cooperation with museums and private collections, documenting and publishing. Inventories of the collections that have not been recorded so far or are little known are in focus. The results and catalogues are open for international research and have been a base for further research for several decades. H. Oehler, Foto + Skulptur. Römische Antiken in englischen Schlössern. Ausstellungsakt. Köln 1980. Antike Schätze. Aus der Arbeit des Archäologischen Instituts der Universität zu Köln. „Schauplatz Archäologie“ im Studio Dumont. Köln 1995. P. Scheding – M. Remmy (Hrsg. ), Antike Plastik 5.0://. Berlin 2014. D. Boschung – H. von Hesberg, Zum 50jährigen Bestehen des Forschungsarchivs für Antike Plastik, Kölner Jahrbuch 49, 2016, 465-485. K. Lorenz – C. Parigi – P. Groß, Die Marmorfunde aus dem Heiligtum der Diana Nemorensis in Nottingham. Die Fotokampagne 2016, KuBA 6, 2016, 225-234. C. Parigi – M. Remmy, Hannestad@ARACHNE Ein privates Fotoarchiv im Wissensnetz KuBA 6, 2016, 259-264. C. Parigi (ed. ), Akten des Internationalen Workshops “Sammlungen antiker Skulpturen in Oberitalien”, Köln, 03-04 April 2017, Kölner Jahrbuch 51, 2018, 457-586 (in Print). C. Parigi, Skulpturen aus der Sammlung Este in Modena. Ein Projekt des Forschungsarchivs für Antike Plastik, KuBA 7, 2017 (in Print). Edited by: F. Fless – S. Langer – P. Liverani – M. Pfanner, Vatikanische Museen. Museo Gregoriano Profano ex Lateranense, Katalog der Skulpturen IV: Historische Reliefs, MAR 40 (Wiesbaden 2018). From the beginning on, campaigns that were supported generously by the Gerda Henkel Foundation, the German Research Foundation (DFG), the Ministry for Science and Research of the State of Northrhine-Westphalia and the University Foundation, have been conducted in several museums to document their inventories. At first the large collections of antiquities that are in English private possession and the sculpture of the Museo Gregoriano Profano in the Vatican, French museums in Chateau-Gontier and Laon as well as collections in Germany, Poland and Switzerland were in focus. As a partner of the Sculpture Network Berlin, the Research Archive recorded the sculptures of the Pergamon Museum and the Berlin Cast Collections photographically in the years 2009-2012. In cooperation with the Archaeological Institute of the University of Bonn, it has worked on the documentation of the Cast Collection of the Academic Art Museum. 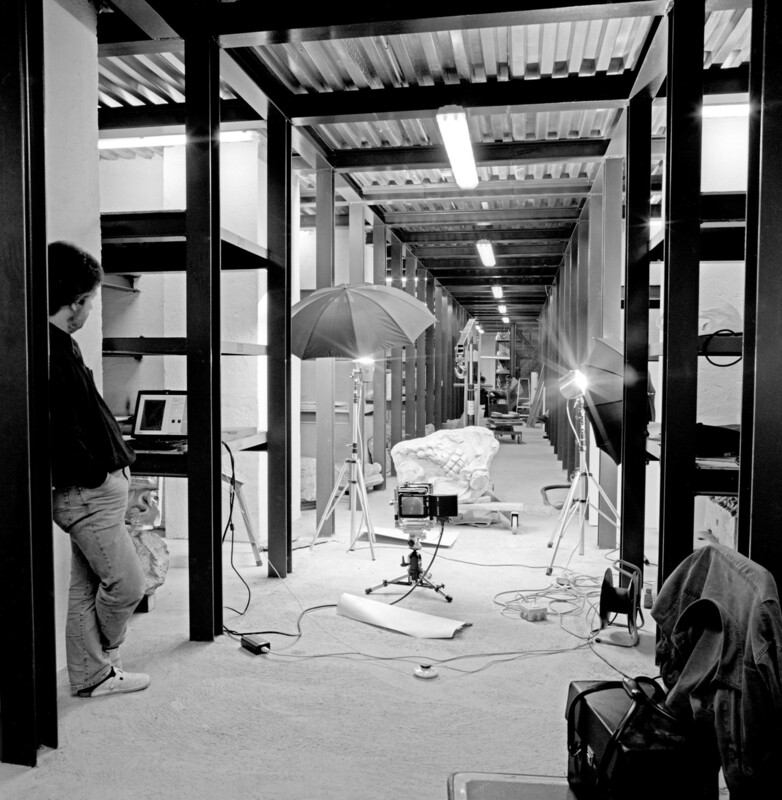 The Research Archive employs a specialized photographer (Philipp Groß) and tries to train younger photographers to the existing qualitative level; it houses a photographic laboratory and own specialized photographing equipment. The Research Archive aims to create a scientific publication of the photographically recorded sculpture. For this purpose, the publication series Monumenta Artis Romanae is in place. The catalogues on the English collections and on the Museo Gregoriano Profano are of special interest. Further publications of the Research Archive are found online on the platform Arachne. Aside from the employees of the Archaeological Institute of the University of Cologne, scientists from other institutions are contributing authors. The works on the catalogues are supported by the German Research Foundation (DFG), the Gerda Henkel Foundation, the Fritz Thyssen Foundation and the VGWort. The database Arachne makes up the basis for processing of earlier activities as well that for new projects. It has been developed in 1995 in collaboration with the Beazley Archive in Oxford and the German Archaeological Institute by its former supervisor, Prof. Dr. Reinhard Förtsch and extended systematically constantly. Meanwhile - still under the supervision of Dr. Reinhard Förtsch - it has become the central object database of the German Archaeological Institute and serves to process the various photographical archives of the decentralized institutes outside of Germany. 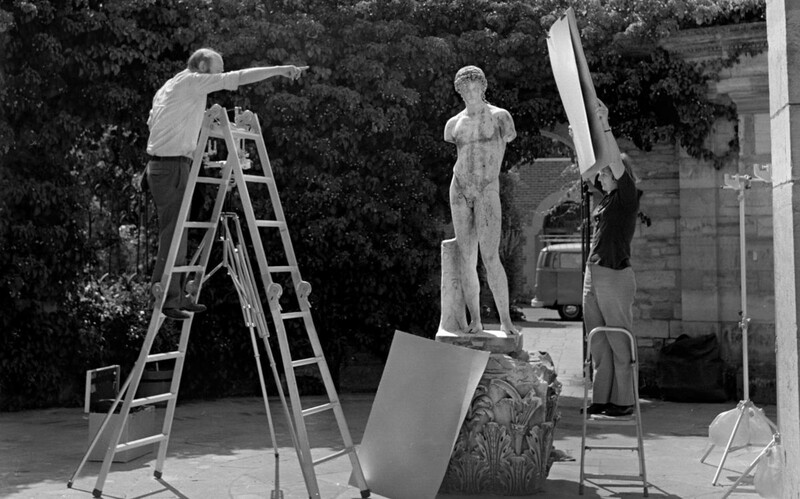 The Research Archive makes up the largest part of the specialized photographical collection for the documentation of ancient sculpture (around 130.000 photographs, around 50.000 in-house recordings) and has contributed to the systematic expansion through numerous projects. It is still involved in the overall project with photographical campaigns and catalogues. Research on the history of sculpture collections has become another focus of the Research Archive through the relationship with the work on catalogues of collections. As another branch of the reception of antiquities, engravings are made accessible through a browser on the one hand and on the other hand, they are processed separately as is the case for the Museo Maffeiano or the Musée de sculpture antique et modern des Comte de Clarac. D. Boschung – H. von Hesberg (Hrsg. ), Antikensammlungen des europäischen Adels im 18. Jahrhundert. Monumenta Artis Romanae 27. Mainz 2000. D. Boschung (Hrsg. ), Antikensammlungen im 19. Jahrhundert, Kölner Jahrbuch 40, 2007, 7–213.